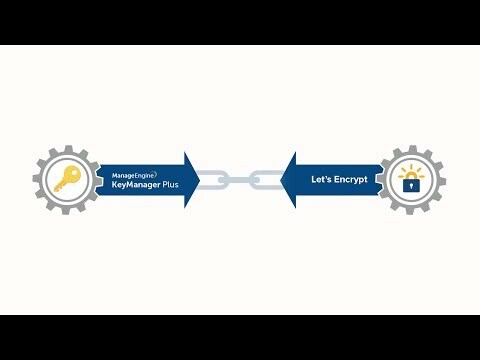 ManageEngine Key Manager Plus is a web-based key management solution that helps you consolidate, control, manage, monitor, and audit the entire life cycle of SSH (Secure Shell) keys and SSL (Secure Sockets Layer) certificates. It provides visibility into the SSH and SSL environments and helps administrators take total control of the keys to preempt breaches and compliance issues. Zoho is a renowned company creating beautiful software to address business automation needs. Over the past decade of its journey, the Zoho suite has emerged to be a leader in software solutions. In an industry where technology changes at a relentless and dizzying pace, Zoho values persistence and endurance as highly as adaptability. With Zoho software solutions, customers get the enduring commitment to keep improving the experience and relentless devotion to customer satisfaction. Import users / user groups from Windows Active Directory and also leverage the authentication mechanism. Associate specific resources to users and establish granular access controls. Manage SSH keys better, comply with regulations such as SOX, FISMA, PCI, and HIPAA. Instant, comprehensive reports on all key management activities. Audit and track all user activities and generate reports. Enforce policies for key creation. Remove all existing keys for a fresh start or append new keys. Get a holistic view of the key to user relationship across the organization. Rotate key pairs automatically at periodic intervals. End-to-end certificate life cycle management with Let's Encrypt. Consolidate all discovered certificates in a secure, centralized repository. Manage Let's Encrypt CA certificates using Key Manager Plus.